THE EDDIE ARGOS RESOURCE: Snakebite City. Snakebite City compilation albums are AMAZING. I grew up in Dorset in the mid-nineties, if the internet existed then I couldn't afford it. The only way I could discover new music was by buying indie compilation CD's. I was very poor and they were usually really good value for money, often £5 for a CD with about twenty six different bands on. Of course a lot of these compilation CD's were cheap for a reason (they only had one good song on them). The exception to this rule were the Snakebite City Compilations. Snakebite City Compilations were always 100% full of amazing obscure indie pop bangers. There were eleven compilation albums in total, and even though I lived in the cultural waste land that was Bournemouth, I still somehow managed to collect them all. Snakebite City compilations became the soundtrack to my adolescence. I used to carry a lot of CD's around in my bag, so I could take over what ever music was being played at parties and play what I wanted instead. These CDs would always be a These Animal Men CD, a Helen Love CD, a Carter USM CD, a David Devant CD, and about five randomly selected Snakebite City CDs. So, looking back at it now, wether they wanted them to or not, Snakebite City CD's also soundtracked all my friends adolescences too. Sorry about that Jasper. 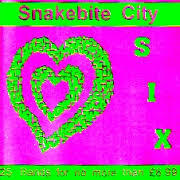 A lot of the Snakebite City bands became my favourite bands, and then later, when I moved to London, they became my flatmates and friends. Art Brut's first ever gig was the last ever Snakebite City night at the Verge in Kentish Town. I'm very glad that we just managed to make it on to something that I saw as an important institution, although I'm sad we never got to be on one of the CDs. When I moved house last year all my Snakebite City CD's were stolen - hopefully whoever took them is rocking out to AgeBaby somewhere right now, as those CDs are useless in the wrong hands. I have all the songs on a hard drive somewhere, I'm sure, I just need to dig around and find them. 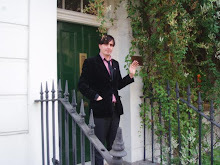 But I had a real itch yesterday to hear some of my favourites and started thinking about what they might be, before suddenly remembering that I had made a radio show for Resonance FM about exactly that. So one quick email to Keith Top Of The Pops later I had my hour long show, I thought you might want to listen to it too. So here it is. I'm not sure of the legality of me just posting it here so to make up for just doing it. I'm going to suggest that you donate to Resonance FM HERE, or at least start listening to it. It is an incredible radio station, one of the best in the world. If you want to buy Snakebite City compilations, it looks like you can still do that HERE. That website looks about 15 years old, so you definitely should buy the CD's just for the surprise on Paul Bluefire's face when he suddenly starts getting cheques in the post for compilation CDs he made 20 years ago.